MUMBAI: Legendary singer Lata Mangeshkar missed her meeting with Bharatiya Janata Party (BJP) President Amit Shah on Wednesday due to her ill health. Expressing regret on missing out the opportunity to meet the BJP leader, the singer tweeted, "Today I had a meeting with BJP President Amit Shah, but since I am suffering from food poisoning, I told him I would not be able to meet this time." "I also requested him to meet me next time he visits Mumbai," the 88-year-old singer added. Shah visited Mumbai on Wednesday and met Maharashtra Chief Minister Devendra Fadnavis and Shiv Sena chief Uddhav Thackeray. MUMBAI: Veteran music composer Khayyam, who has turned 92, didn't feel like celebrating his birthday here and said he has donated Rs 500,000 towards relief efforts for the family members of those who died in the Pulwama terror attack.Khayyam turned 92 on Monday. 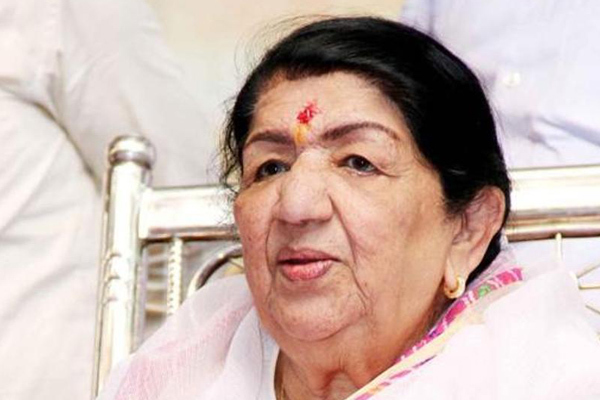 MUMBAI: Legendary singer Lata Mangeshkar has joined Bollywood celebrities like Amitabh Bachchan, Shah Rukh Khan, Aamir Khan and others to condemn the Pulwama terror attack that killed 45 Central Reserve Police Force (CRPF) troopers in Jammu and Kashmir. Mumbai: The recently released song from Total Dhamaal, Mungada is remix of an iconic song from Hindi Film industry, filmed on the original poster girl, Helen and sung by Usha Mangeshkar. Celebrating Preity Zinta's top songs on her birthday!